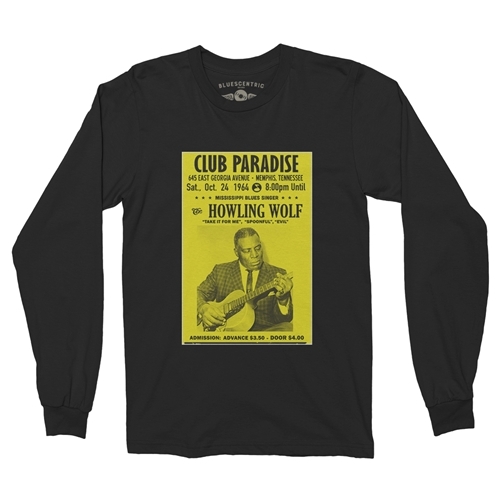 Official long sleeve Howlin Wolf concert t-shirt. Every sale directly benefits Wolf's estate. 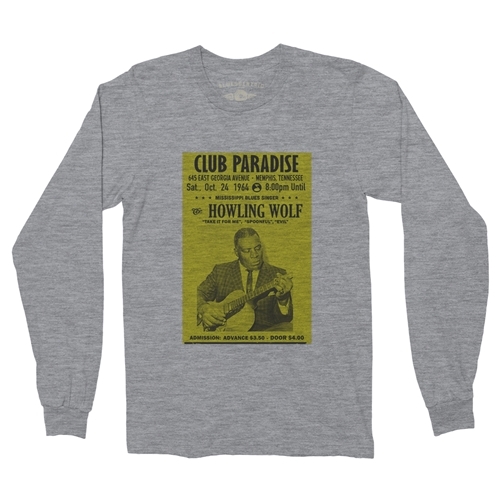 In 1964, you could have seen Howlin Wolf play blues guitar and blow his harmonica for $3.50. 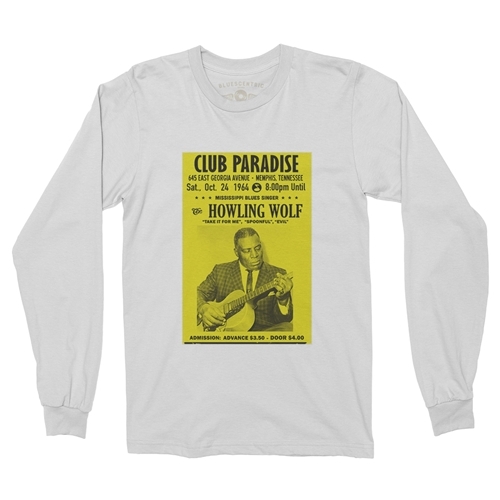 This real concert t shirt advertises wolf as a Mississippi Blues Singer, and lists his songs "Spoonful" and "Evil" at Club Paradise, Memphis. Club Paradise was a famed, longstanding blues club in Memphis, Tennessee. "At that time if you played the Paradise, that was the ultimate in Memphis for the black blues club," said singer Bobby Rush. "When you made the Paradise, it was like Carnegie Hall. You had to work your way up to get to the Paradise, but when you got to the Paradise, you thought you made it." B.B. King, Bobby Blue Bland, Aretha Franklin, Johnnie Taylor, Ike and Tina Turner, Albert King and Little Milton were among the many to play Paradise. The club closed its doors in 1999, but the building remained, and later reopened as New Club Paradise civic center, embodying the former blues club's spirit. 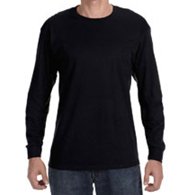 Bluescentric Brand Howling Wolf Long Sleeve T-Shirts are available in pre-shrunk 100% 6oz heavy cotton sizes up to 5XL! Athletic heather is 99%. Sizes run true. Double-needle sleeve and bottom hem.